United Online wanted to build a new digital business to take advantage of the forecasted growth in mobile commerce. In 2015 U.S. mobile commerce sales will total $104.05 billion, up 38.7% from $75.03 billion in 2014. 73% of U.S. mobile internet users used Amazon via browsers or apps in Q4 2013. 84% of U.S. smartphone shoppers use their phones to assist them in their shopping while in physical stores. 50% of current smartphone users say they will use their mobile wallets for daily transactions as early as 2016. Based on this data and our initial research, we wanted to know more about how people used their mobile devices to conduct commerce. To spark our conversations with these users, we chose to use a combination rapid prototyping and user interviews. During this research we took a look at many niche shopping experiences. Initial concept sketching allowed us to quickly visualize a large number of potential concepts to test. A quick competitive analysis was performed on each concept to determine market viability. A subset of these ideas were then entered iterative prototyping and user interviews. People were more likely to use their mobile devices when they were away from their home and needed make a purchase on the go. For example, sending flowers to mom for her birthday at the last minute. People are anxious when looking for the perfect gift. When people forget to buy gifts and are pressed for time, they often purchase gift cards. They enclose the gift card inside a greeting card with a personal message to demonstrate that they put some though into giving the gift. Most people like it when they receive a gift card for a brand that they love, while everyone hates receiving a gift card that they know they will never use. People find it frustrating when they are at a store and realize that they left their gift card at home. With the Swappable app, you can have the gift card aisle in your pocket. There was no need to run to the grocery store at the last minute to purchase a gift card. You can use your mobile phone to personalize your gift with a photo, video, or text message. You can schedule the delivery of your gift, so that the recipient receives it at the ideal time. There is no need for the recipient to download the app to receive the gift. Don't worry about giving the perfect gift. When the recipient receives your gift, they can swap it out for any other gift in the store if they are not happy. 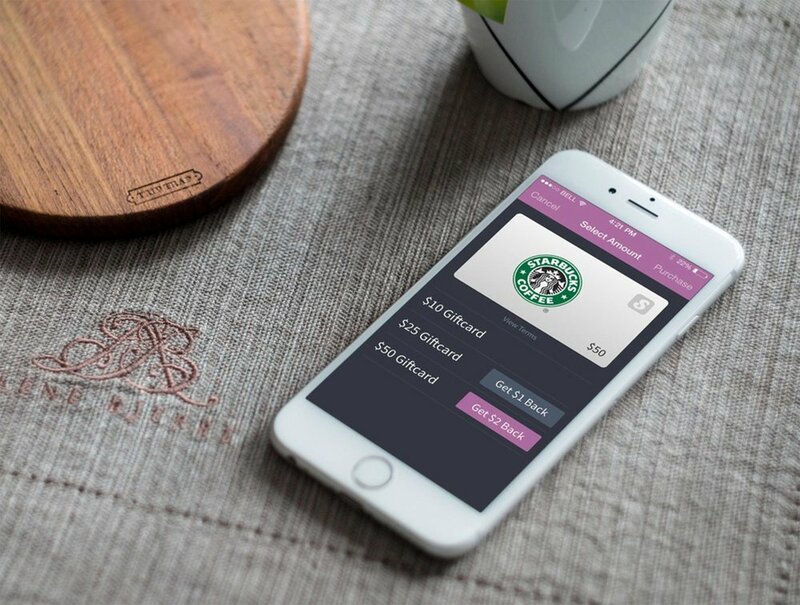 The digital wallet allows you to store Swappable gift cards on your mobile device so that you'll never find yourself in a store without them. Earn reward dollars for every gift card you purchase for your friend or yourself. Swappable launched in 2015 and generated 2.4 million in gift card sales and increased Q4 revenues by 48%.